I'm very happy today to be today's stop on the blog tour for Confessions of an Angry Girl by debut author Louise Rozett. What was the biggest challenge you faced when writing Confessions of An Angry Girl? I really love our Angry Girl, so it was surprising (and informative!) when my editor very wisely pointed out that I needed to make sure that we get to see some positives with Rose, some moments of happiness and inspiration. I’m embarrassed to admit that it truly hadn’t occurred to me that she might be unlikable because she’s so angry all the time! But my editor’s comment really woke me up, and helped me make her more relatable. I find Rose’s sense of humor endearing—I think she’s pretty funny—and I also think her humor helps temper the anger and the darkness that she’s coping with. What was the best piece of advice you received back when you were still an aspiring writer? The best piece of advice I received was to READ. Read everything, not just the genre you are interested in writing. Read great works of literature, read best-sellers, read award-winners, read books that people recommend, read books whose covers catch your eye...just read. It’s a great and thoroughly enjoyable way to educate yourself about your craft. Have you always wanted to be an author? If you weren't a writer what would you do? I studied both acting and singing, and spent time in New York doing musical theatre, which I loved. But there are things about a performer’s life that I couldn’t live with, and I became more and more drawn to making my living as a writer. 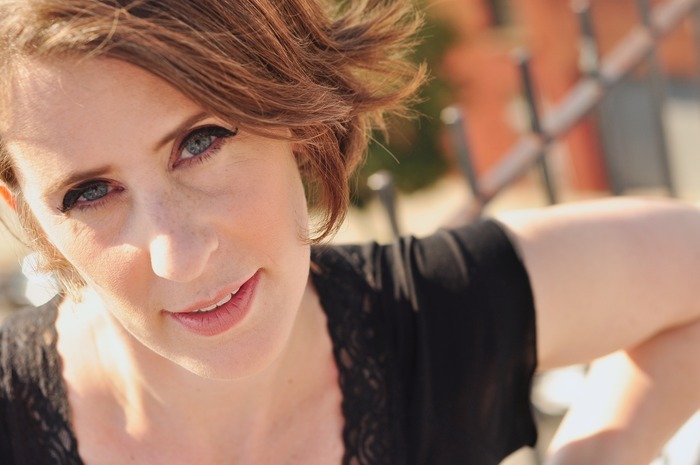 I started writing when I was a kid, and I wrote lots of short stories and several plays as I was growing up, but it wasn’t until I became disenchanted with my life as a performer that I realized how much I love writing, and how it feeds my soul. 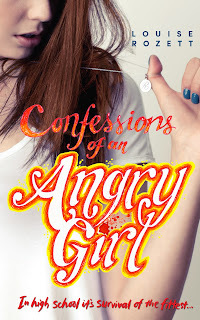 Louise Rozett’s debut novel Confessions of an Angry Girl is due out from MIRA Ink on the 4th January 2013! Visit www.louiserozett.com for more. I read this about a week ago and really enjoyed it! Lovely interview, Clover! I really enjoyed this book. Rose is a little young but the problems and issues were real. I really want to read this! I love the trailer, and the fact that the protagonist is a word geek makes me want to read it even more;) Thanks for posting, Clover! I really enjoyed this book, Clover, so I really liked reading this post. The trailer is brilliantly done, and I felt like it really suited the mood of the book. The end made me laugh "Look them up yourself. Sorry, that was rude..."
Thanks for posting this, Clover!